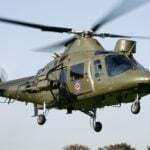 In Italy, the design and manufacture of helicopters is concentrated mainly in the company Agusta (Construzione Aeronautiche Giovanni Agusta SpA), located in Gallart in the North of the country. In 50-ies of the last century Agusta started the licensed production of helicopters, American firms Bell, Boeing Vertol co and Sikorsry Aircraft. The first helicopter of his own design A-101 with three HHD, designed to carry 36 paratroopers, Agusta designed in 1964. The first serial car of the company was a multirole A-109 “Heron-up”, built in 1971. On the basis of this machine in 1983, and was created by the anti-tank A-129 MANGUSTA. A-129 is a light helicopter, developed in accordance with the requirements of NATO to the European anti-tank helicopter. For testing was built five experienced prototypes, one of which made its first official flight on 15 September 1983. Serial production of the A-129 was initiated in 1992. But defeat armored targets and reconnaissance of the battlefield, the pilot of the A-129 MANGUSTA could also shoot down air targets with missiles with infra-red (NC) guidance system. 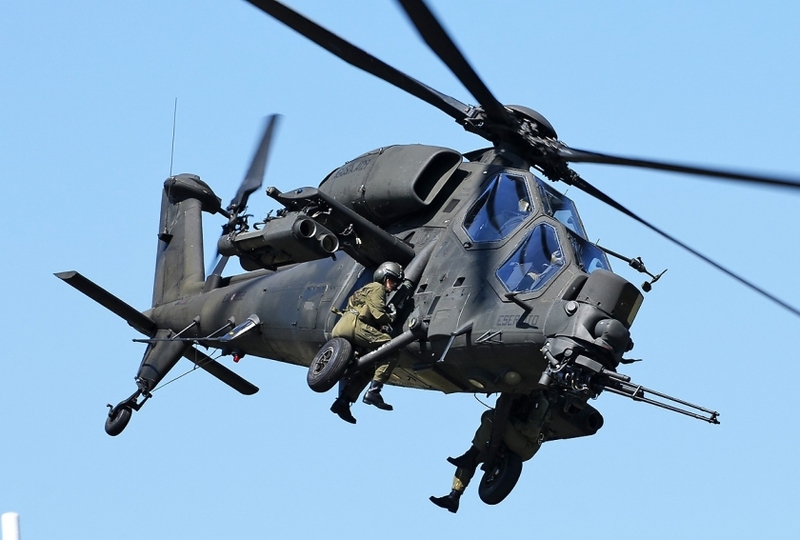 A-129 MANGUSTA — single-rotor machine with the four-bladed main and bladed tail rotor. 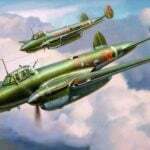 The power plant consists of two English engines equipped with system of suppression of IR radiation. The rotor is made of composite materials with elastomeric bearings. The design of the helicopter are widely used composite materials. The fuselage has bulletproof booking, and the blades and drivetrain have a high amount of survivability if you lose the bullets of 12.7 mm. To reduce the likelihood of injury carrier system controls are held within the screw shaft. Armored cockpit seat, tandem arrangement of the pilot (rear) and an arrow (front). Night the pilot is looking for targets with a thermal imager mounted in the nose of the fuselage. The image of the object displayed on the screen of sight arrow and helmet-mounted target designation system pilot. A-129 MANGUSTA: the diameter of the rotor 11 900 mm, empty weight 2530 kg, the maximum mass of 4100 kg, lifting capacity 1000 kg, power unit — the two theater company Rolls-Royce power по710 kW, maximum speed 315 km/h, static ceiling of 2390 m dynamic ceiling 6500 m, range 600 km, Crew of two people.